Welcome! Feel free to browse through the guides. You can also look for particular topics using the search bar below. Use keywords to search for a guide or topic in our learning guide library. This guide will teach you how to create a myGov account. Learn about some helpful tips on how to set up your home internet connection. How do I use free public internet? Learn how find and access free public internet. What types of internet connections are available? Get help navigating the range of internet connections available when first connecting your home to the internet. 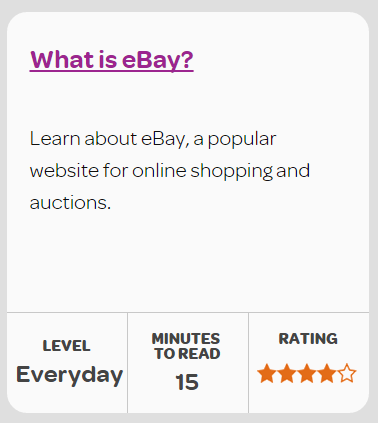 Learn how to get started buying on eBay, a popular website for online shopping and auctions. What are the best gardening websites and apps? What are the best craft activity websites and apps? Use websites and apps to learn how to create, make and even sell your crafty creations online. What are the best music websites and apps? Discover some of the most popular music websites and apps in Australia and around the world. Use websites and apps to follow and keep up to date with news about your favourite sports. Have an idea for a guide? Let us know. 2. Type in something that you're looking for. 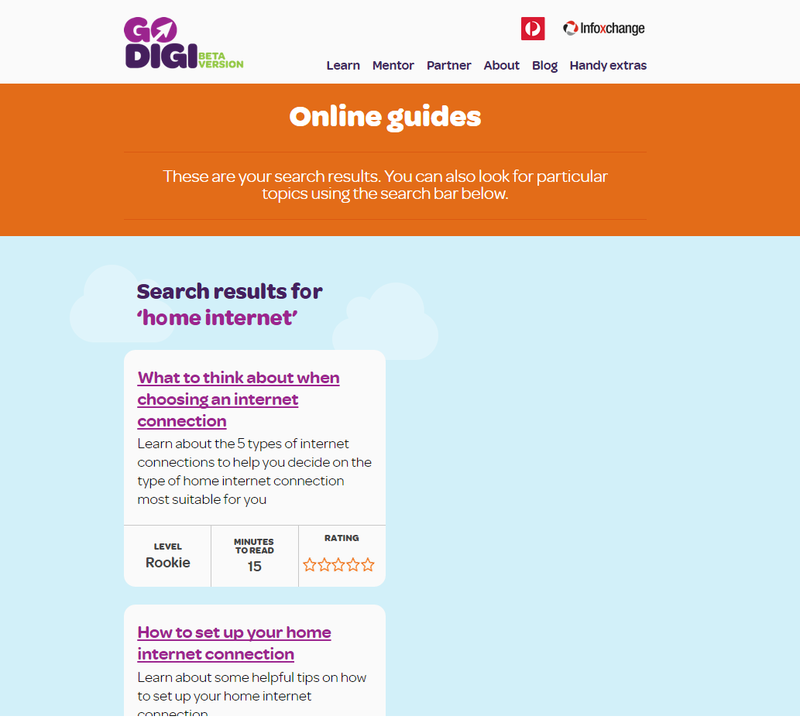 For this example, 'home internet' has been typed in as search term in to the search bar. Once you have typed in your search terms, click the search button. 3. The search results will display in a list on a new page. If none of the results are what you are looking for, scroll to the bottom of the page and there will be another search bar so you can try again with a different search term. Once you click on the title of a guide in the search results, you will be taken to the learning guide on a new page. You can also browse through the learning guides. This might be helpful if you're not quite sure what you'd like to learn about or if you just want to explore. The first section is the 'Most Popular' guides. 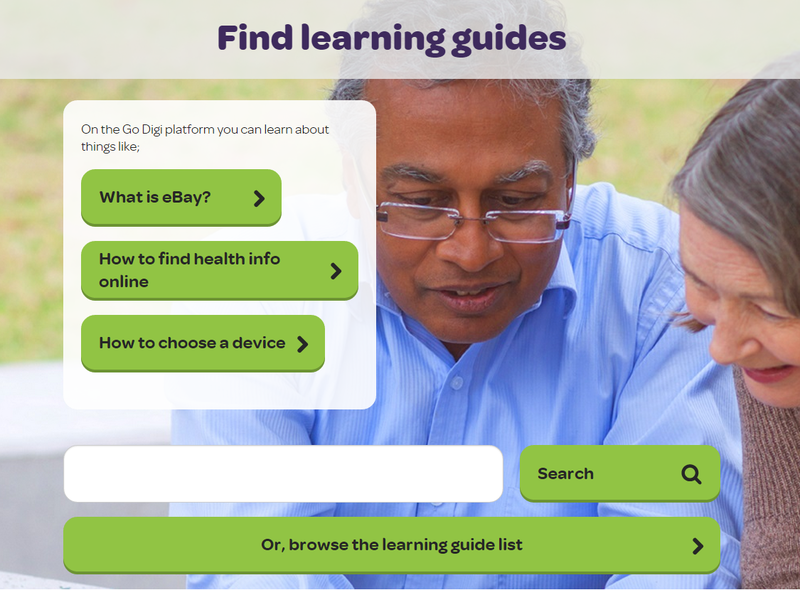 These are the guides that users of Go Digi have found the most helpful. You can vote for the guides you find most helpful at the end of each guide. You can also click the green button 'show me more guides' which will take you to a new page. 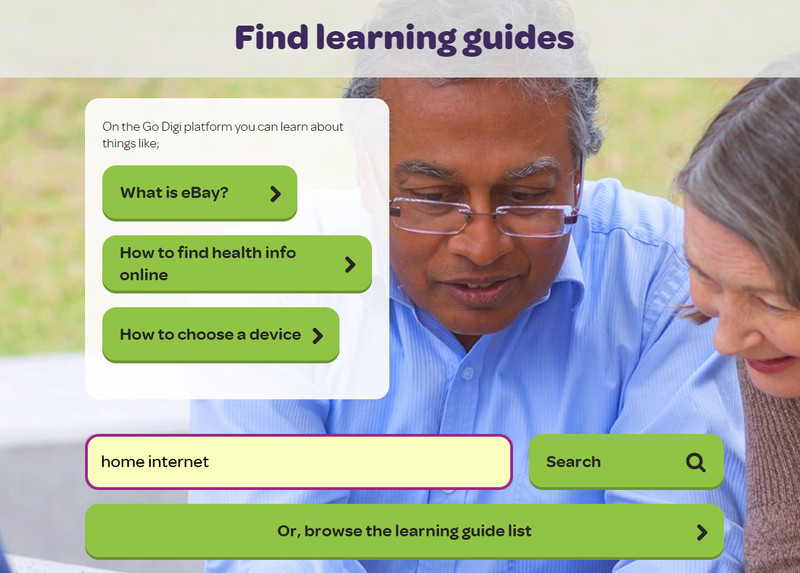 On this page, you can view all the guides on the Go Digi platform.